Ya’all frizzy-haired ladies would agree that there is no such thing as a frizzy hair season. You get the winter frizz throughout the holiday season, and then you have the humidity frizz for the rest of the year. Maybe just two or three days of the blissful good hair days in between. Don’t worry, that frizzy mane can very well be tamed. Some products can help you extend those good hair days to weeks and even months. With the right regimen, you might even forget you ever had frizzy hair. While most products that promise you frizz-free locks fail miserably, there are some tried and tested anti-frizz products we actually swear by. Let’s take a look. We all know frizz is caused by lack of moisture in the air. That is why we call this one moisture in a bottle. Ahalo Butter Rich Moist Hair Oil created to be used on slightly damp hair so that it can lock in the moisture. However, we used it on dry hair and the results were even more amazing. It was like a quick fix for those unruly strands. Yes, the name says it’s an oil, but rest assured that there isn’t the slightest of greasiness. Yet, it manages to give you an instant shine and smoothness. The ingredient list includes shea butter, cocoa butter, and a wide array of essential oils. With regular use, you will see a visible difference in the overall hair condition and health. Not to mention, it smells amazing and the subtle sweet fragrance stays with you all day. Frizzy hair needs extreme hydration, which can only be achieved by a deep conditioning hair mask. 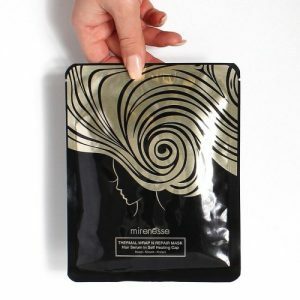 Our best bet for frizzy hair is the miraculous Thermal Wrap N Repair Mask by Mirenesse Cosmetics. It is perfect for hair that is not only frizzy but also dry and damaged. It is a perfect concoction of essential oils, ceramides, and powerful serums that give you a salon-like shine and texture in just one use. The mask is in the form of easy to use self-heating cap. The heat allows the ingredients to absorb better and nourish your scalp and hair from deep within. It is super relaxing not just for your frizz but also for your mind. You will see a huge difference in your hair health in just two to three uses. We love to use this serum as a top coat for frizzy hair. 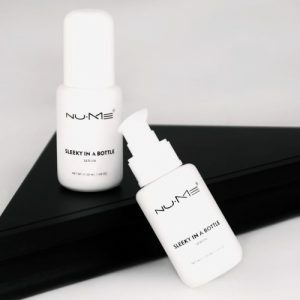 Rich with active ingredients such as Macadamia seed oil, NuMe Sleeky in a Bottle is a miracle product for frizzy hair. It is a non-greasy formula that works wonders all year round. You can use it after every shower or keep it for those special occasions when you need a top coat for a perfect finishing touch. It is especially effective on those rough ends and edges. It will also take care of your split ends. What we truly love about Sleeky in a Bottle is that it is a cruelty-free product with no paraben or questionable ingredients. Just your good old essential and mineral oils. We know what you are thinking. You are not looking for an instant fix, you need a long term solution for your frizzy hair. While all the products we have mentioned so far have long-term damage repair and conditioning properties, there is one that is specifically created for that particular purpose. Amino Mason Moist Night Cream should be a part of your nighttime beauty regime. With its Super Amino Acids Complex Formula, this product tackles the underlying problem that actually makes your hair frizzy. It repairs the damaged hair cuticles overnight by replenishing the lost hair protein and moisture. No more bed hair, no more bad hair days. It has a subtle and pleasant fragrance. It is non-greasy and free of mineral oils or any other petroleum-based ingredient. 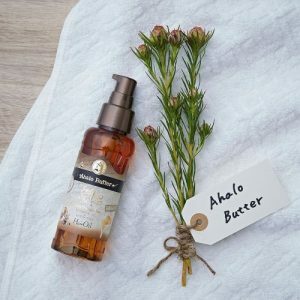 Just like Ahalo Butter’s Oil, this hair pack also smells delicious. The formula is richer than the oil as it contains fifteen different oils and six different butter. You will have to use it as a hair mask and wash it off before styling your hair. One wash and your frizzy hair issue will be gone for days. You might not even need a serum or topcoat for the frizz. 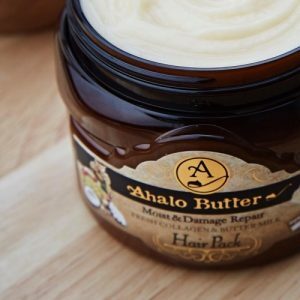 Thanks to its ingredients and deep penetrating formula, the Ahalo Butter Rich Moist Concentrated Hair Pack will deliver noticeable results in just one day. Long-term use will improve your hair texture, thickness, and elasticity. 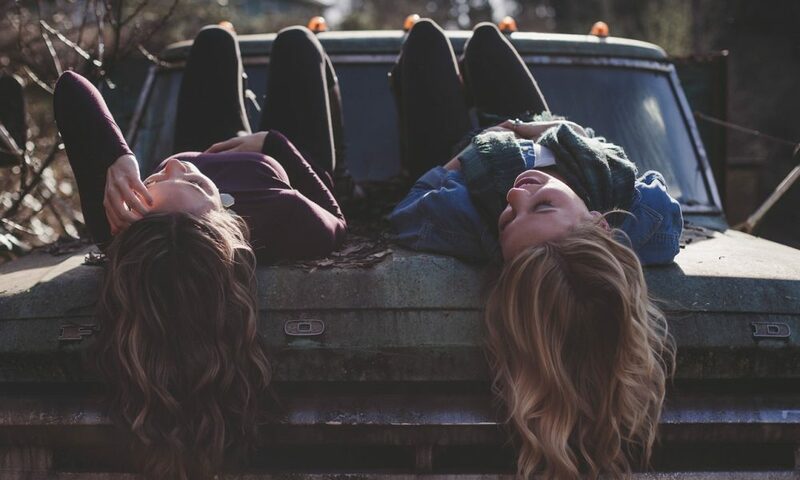 You will have healthier and bouncy hair instead of dry, damaged, and dead hair.